Around 45% American high school students and 95,000 international students—attend a community college for the first two years of university studies in the USA. With over 1,000 public community colleges in USA, there are many benefits of this model in comparison to studying all four years at a university. Community colleges offer significantly lower tuition, smaller classes and strong student support. And oftentimes, they serve as pathways to prestigious four-year universities. One of the great strengths of American higher education is the ease with which students can transfer from one college or university to another. For students who plan to earn a bachelor’s degree the transition from community college to a university for the final two years can be quite easy. Students will attend a community college to complete lower division general education requirements and then transfer to a university. There, they can take upper division courses and thereby complete a bachelor’s degree. Such an approach is commonly known as “2 + 2,” though it may take more than four years to complete all of the courses required for a bachelor’s degree. In fact, many university advisors recommend that students attend community college “college transfer” programs first, and then transfer to universities for the final two years. It is comparatively much easier to get into university of your choice then going straight to its first year. TOEFL (Test of English as a Foreign Language) scores and academic requirements are usually lower for admission to U.S. community colleges than to four-year institutions. Many community colleges also offer ESL (English as a Second Language) programs or developmental math for students whose scores are too low to begin academic studies immediately. Tuition at community colleges can be as much as 20 percent to 80 percent less than at four-year American universities and colleges. This is a tremendous cost savings for the first two years of the bachelor’s degree. Student enrollment in classes, or at the institution in general, is often smaller than at four-year schools. Teachers and advisors are able to provide more one-on-one attention to students. Many U.S. and international students say that attending smaller schools for the first two years helped them make a good transition into larger four-year schools for the final two years. In the U.S. educational system, students often compete for good grades. International students who do not speak English fluently are at a disadvantage. Often, they do better and feel more comfortable in smaller classes where there is less competition. In addition, community colleges typically offer free tutoring to support students’ success. Two years at a community college can help an international student improve English language skills and grow accustomed to the U.S. educational system and culture. A Form 5 student from Hong Kong started at Edmonds Community College in Washington State and successfully transferred to UC Davis. "I chose Edmonds Community College because I didn’t want to take the DSE, and I know I can get my high school diploma and also, at the same time, start earning my Associate of Arts degree. It was great opportunity for me to finish two programs in two school years. I am planning to work for one year on OPT (Optional Practical Training) when I finish my degree at UCD." Don’t assume that you can find anything through the school’s website and don’t border to attend an orientation program for new students. Even though you are bringing college credit with you when you arrive, you are a new student, and you need to learn how to navigate the systems and resources at your new school. First, find out exactly what the requirements are for admission to the school and to the academic program you want to transfer to. Then, choose classes now at your current school based on what you know you’ll need in the future. Exploring colleges and universities to transfer to in the future is exciting and fun, yet it does take effort. In addition to general admission standards, like the number of credits you have taken and your overall GPA, there might also be additional requirements for admission into your major, such as specific classes, a portfolio, a personal essay or even an interview. Work closely with advisors at both your current school and, if possible, at your future school. Clearly communicate to everyone what your transfer goals are so that you and your advisors are all working in concert with each other. If your dream has always been to attend a nationally ranked and highly selective university, then develop a transfer plan for this school and pursue it with enthusiasm. At the same time, keep yourself grounded and keep your options open. There are thousands of truly excellent colleges and universities for you to consider. Just because you haven’t heard of a school doesn’t mean that in the end it might actually be the very best school for you and become your dream school! 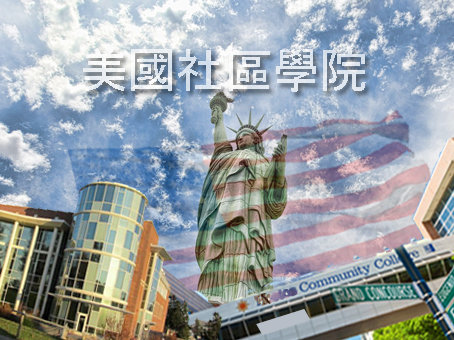 According to IIE, around 96,500 international students studied at the 1,100 community colleges in the United States in the 2016–17 academic year. Although international students account for little more than 1 percent of the entire community college population, almost 10 percent of the nearly 1.1 million international students in the U.S. study at community colleges. When graduate students are excluded from the total number, community college students make up approximately 17 percent of all international undergraduates.